Instead of just one colour, Pantone chose two hues for their colour of the year 2016: Rose Quartz and Serenity. This soft contrast of pale pink to blue is like the dawning of a new day and full of the promise of an early morning sunrise. The significance of the two colours is to reflect connection and wellness, and a soothing sense of order and peace. It sounds like just the right tone to set for the year. Our desire for wellbeing and soothing organisation also manifests itself in the move towards the use of more natural materials in our homes. There is a prevalence of wood – especially plywood – as well as leather, marble, stone, ceramics and terracotta. Real, tangible and long lasting materials that add beauty to our homes. Biophilic design is all about bringing more nature into our homes. Previously more in the realm of specialist architects, this concept is now going mainstream. One of the main ways you can see it is in the popularity of bringing more plants into our homes. However, it doesn’t end with adding plants to an interior. 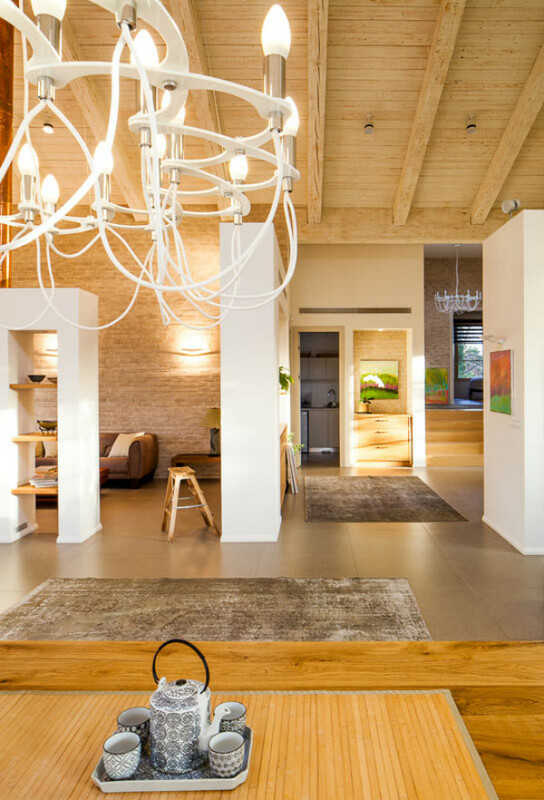 Biophilic design endeavours to harmonise nature with interior design and bring the outside in. This encompasses aspects like working to bring more natural light into the home. Biomorphic design: where the architectural shapes and furniture forms are inspired by organic patterns and shapes found in the natural world. 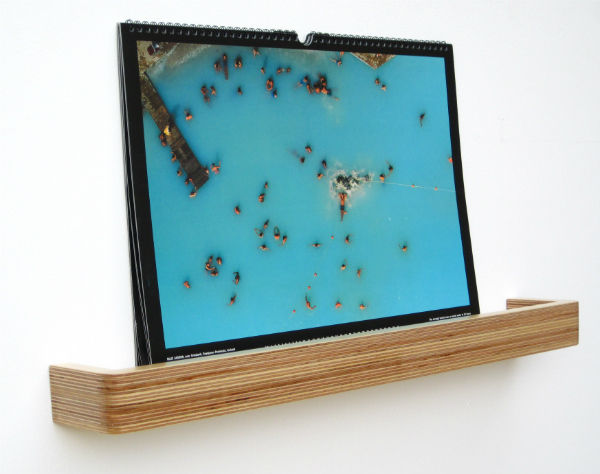 And the use of natural materials, such as wood. Connected to biophilia is a move towards a greater sense of wellbeing in our homes. Seeing them as a sanctuary and a place to take time to nurture ourselves, away from the frenetic pace of the world outside. This brings with it elements like the trend for healthier eating. There’s now a strong move away from rushed meals, balancing plates on our laps on the sofa while watching TV. And a shift back towards having a dining room or area to savour good food around the table with family and friends. There’s increased interest in using natural ingredients to clean the home. Bathrooms take on spa like characteristics. While bedrooms are inspired by boutique hotels to become havens of luxury and relaxation. Warm minimalism incorporates spirit, soul and soft edges. Unlike the polished all white minimalism of the 90s, this style is streamlined and uncluttered but not cold or impersonal. It brings simplicity to our hectic ever switched on and connected lives. Living less cluttered places greater value on the items we possess. Instead of buying lots of mass produced cheap stuff we’re making considered purchases of homeware we really love. Interiors are curated but the objects we display might be a shells found on the beach and displayed in a wooden bowl just as much as an expensive vase collection. There is room for the whimsical, and rather than hiding everything away, we’re displaying our passions whether that be coffee mugs, works of art, or plants. But it is an edited collection, so that those pieces are given room to breath and made a feature of, rather than fighting for attention with a hundred other knick knacks in the room. 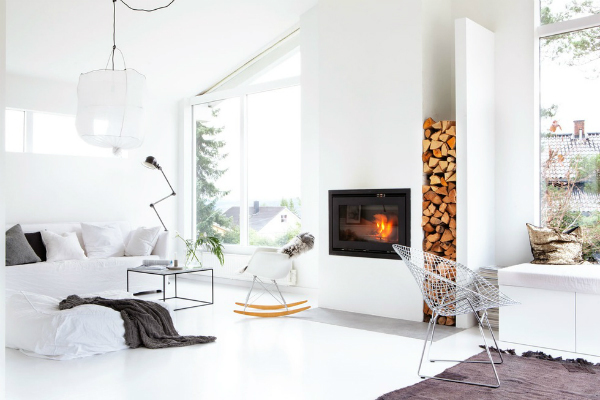 Scandinavian design is having a huge moment right now, and it’s easy to see why. 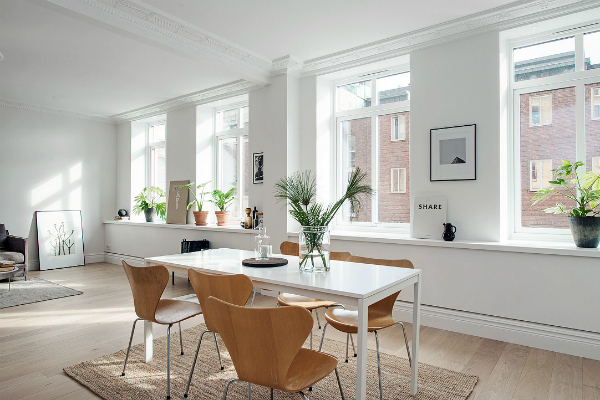 Scandinavian style encompasses many of the other key trends: natural materials, warm minimalism, plants and a connection to nature in our homes. 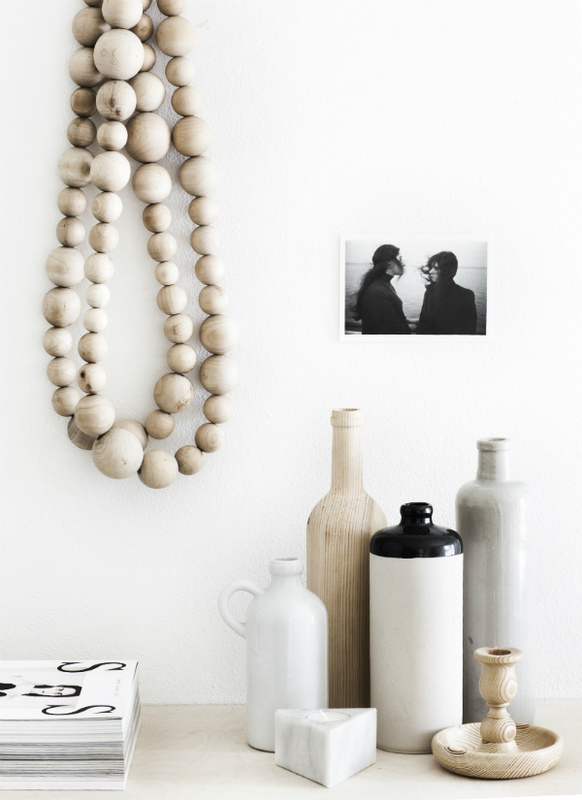 A renewed love for natural materials and relaxed interiors gives rise to the trend for rustic simplicity. There are similarities with warm minimalism but also includes also strong influences of Mediterranean style and contemporary country living. The vibe is more chilled and less polished. Old and new can sit side by side and work together beautifully. 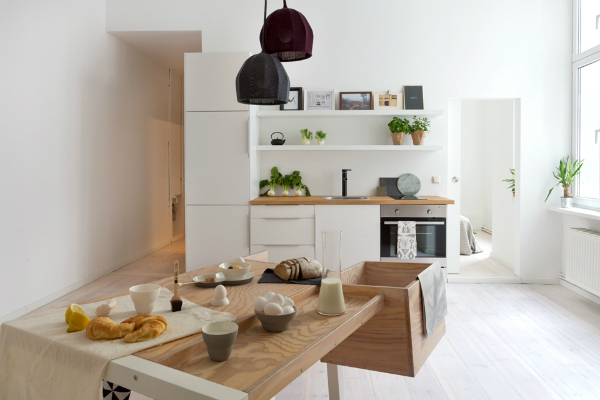 There is a shift away from open plan spaces and loft style apartments to homes with divided up spaces within them. Alternatively termed broken plan living or flexible plan living, we are zoning our homes for more privacy and cosiness. This is taking the form of structural zoning for multi-level spaces with stairs. Or simply using bookshelves and furniture pieces to allocate specific areas. 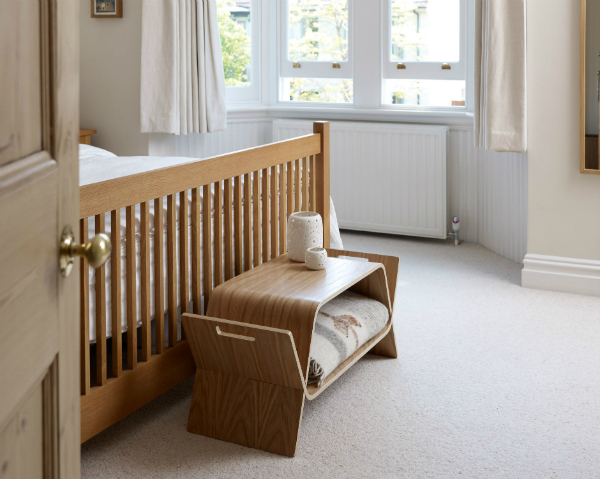 It’s also a great solution to maximise space and storage in small homes. Related to flexible plan living is the increased use of multi-functional furniture. This may take the form of furniture with storage or furniture that can be used for different purposes. A stool might be used as a bedside table and then as extra seating as needed. 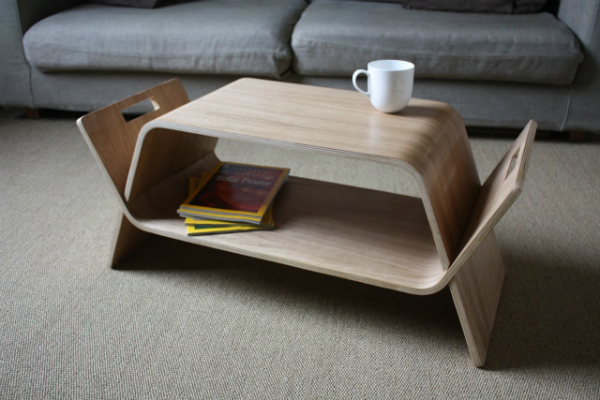 Or a piece of furniture like a coffee table will also have additional storage features. 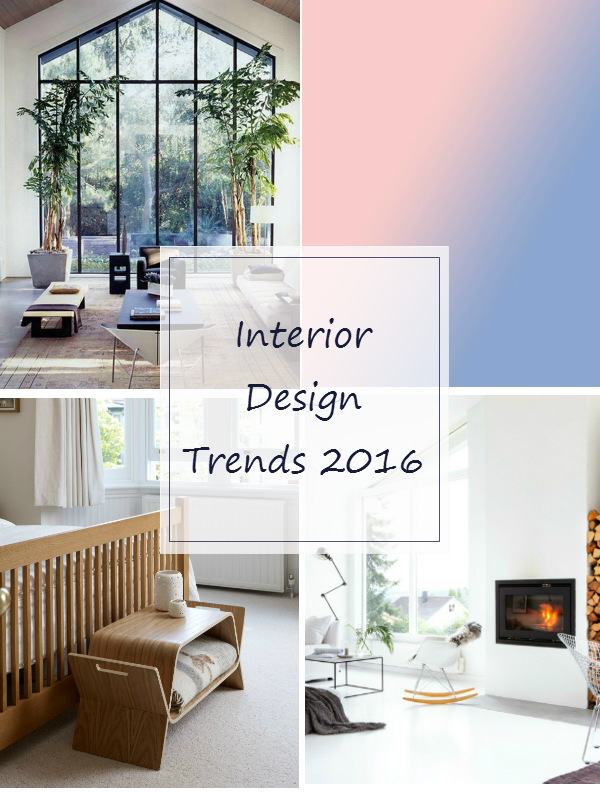 What do you think of the new interior design trends for 2016? Will you be adding any of them to your home? I really like the way these kinds of trends are growing. The Scandinavian design especially is one that I really like, and it really does incorporate a lot of other things you mentioned here. Minimalism in general is something I really appreciate, so I’m excited to see it getting big. Thanks for the post!